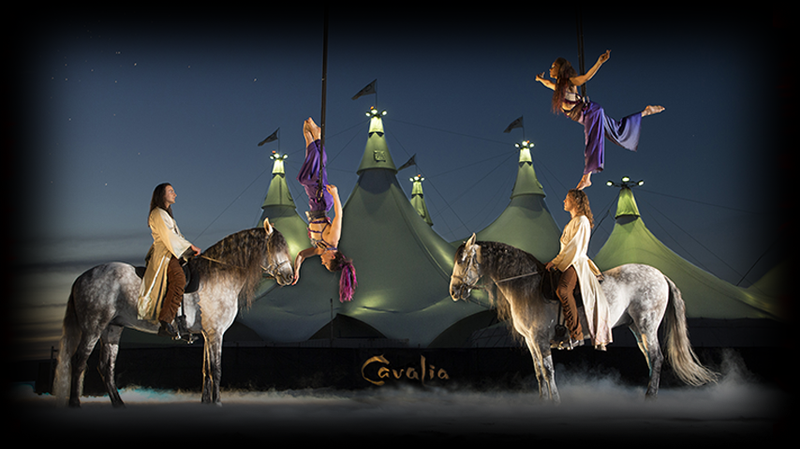 Cavalia is a fresh mix of equestrian and performing arts, multimedia and special effects, innovatively integrating acrobatics, dance, aerial stunts and live music. 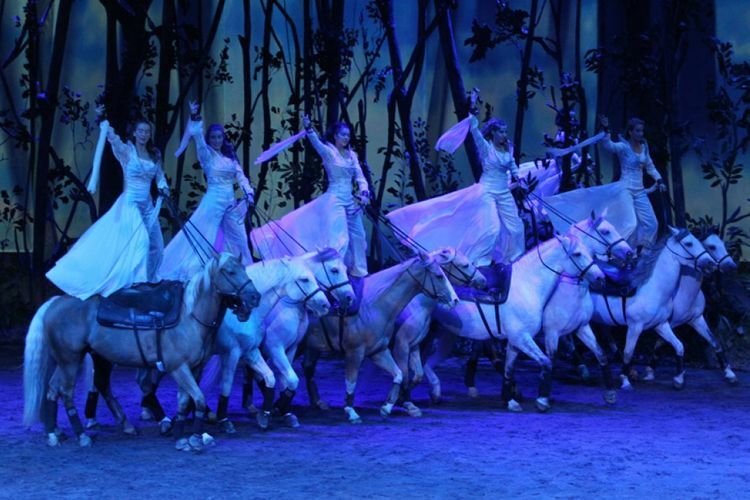 To celebrate its 10th anniversary, Cavalia is presenting a revamped show featuring more horses, more artists, new stunning projections, new breathtaking acts and new costumes. 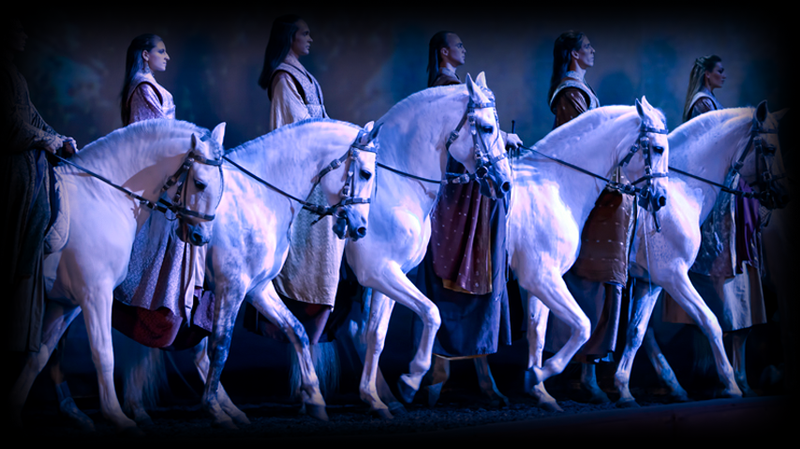 Cavalia is such a dynamic production and it is continually evolving to highlight the strengths and personalities of new artists and horses. This show - conceived by Normand Latourelle and often labelled an equestrian ballet - combines state-of-the-art technology and the fundamental relationship that humans have developed with horses throughout time; enabling us to build bridges between cultures and expand civilization and now to produce the purest form of art, one created through kindness, patience and love. The horses cavort with the many artists in front of a constantly changing digital background projected onto a 60 metre-wide screen. Each image projected on the immense cyclorama is first hand-painted and then finalised by graphic designers. To project these breathtaking backdrops, Cavalia uses 20 projectors as powerful as those illuminating the grandest movie theaters. This method of set design is unique to Cavalia and allows the audience to be immersed into dream-like virtual environments. Horses have allowed us to embark upon the most soulful journeys across the globe in search of a paradise; we hope to offer you a glimpse of this same paradise.